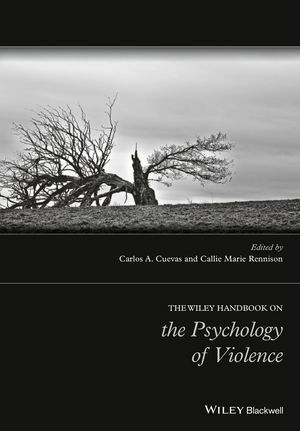 The Wiley Handbook on the Psychology of Violence features a collection of original readings, from an international cast of experts, that explore all major issues relating to the psychology of violence and aggressive behaviors. Carlos A. Cuevas is a licensed psychologist and Associate Professor at Northeastern University in the School of Criminology and Criminal Justice. His scholarly work focusing on violence and victimization, particularly among Latinos and how it connects to delinquent behavior, has appeared in various journals including Violence Against Women, Journal of Interpersonal Violence, and Child Abuse & Neglect. Callie Marie Rennison is an Associate Professor at the School of Public Affairs, University of Colorado Denver. Dr. Rennison’s research has appeared in numerous journals, including the Journal of Quantitative Criminology, Feminist Criminology, Justice Quarterly, Violence and Victims, and Violence Against Women.